Personal injury is a diverse area of law encompassing claims relating to physical and emotional injuries due to the negligence or wrongdoing of another person, company or other entity. Personal injury lawsuits often include claims arising from automobile accidents caused by the negligence of other drivers or poor road conditions, aviation accidents caused by defective airplanes, poor weather conditions or pilot error, as well as injuries arising from defective products. Each client and each case is unique. Pilot Law has helped clients from all corners of the state obtain the compensation to which they were entitled. Whether a client’s loss resulted from the negligent operation of a vehicle or aircraft, lack of proper maintenance of a business or premise or personal property, or a governmental agency’s failure to follow government regulations, Pilot Law provides experience and effective representation to achieve successful results. 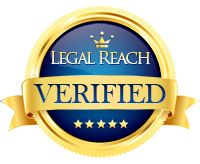 If you have questions about your legal rights regarding the injuries you have sustained, please contact our office.